In certain neighborhoods, homes can start to blend together and look like carbon copies of one another. 1. Entry Door: The entry door is the focal point of your home’s curb appeal. You may have something functional, but a new entry door is an opportunity to do something sensational. Choose a style, design, and material that matches your home’s architecture and brings your home’s street-facing exterior to life. 2. Garage Door: Much like a new entry door, a new garage door helps your home’s curb appeal and differentiation tremendously. 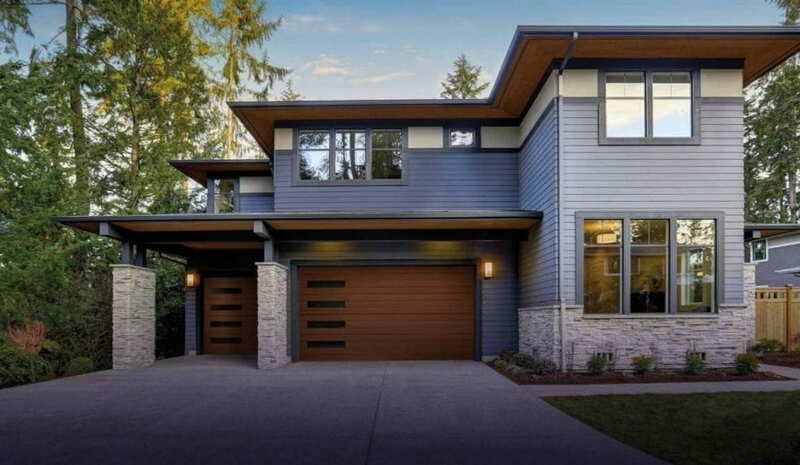 There are many different types of garage doors available to you, and making the right decision from among unique garage doors can transform the way your home looks and feels. Find an option that matches or complements your entry door as well as the rest of your home’s exterior. 3. Lawn and Landscaping: You’d be amazed at what a green lawn can do for your home. Many homeowners don’t emphasize their lawns, which leaves you plenty of opportunities to help your home stand out. Having an emerald lawn is fantastic, and so is adding some landscaping to match. Use seasonal flowers, plants that need little maintenance and hardscaping to further enhance your home. 4. Mailbox: When was the last time you thought about your mailbox? Many homes feature old mailboxes that are slowly deteriorating. Install an attractive new mailbox at your home, and you’ll find it immediately pays dividends in differentiation. 5. Windows: The installation of new windows can transform the way a home looks and feels from the street. Choosing the right new windows and window style for your home can send its curb appeal shooting through the roof. 6. Furniture: Create an outdoor living space in your front yard, and you’ll find that your house begins to look a little different from the others. Wooden Adirondack chairs are a simple and attractive solution. Paint or stain them to complement the rest of your home’s color scheme. At Ole and Lena’s, we are your garage and entry door experts. When you want to explore unique garage doors or get expert guidance on what would work best at your home, we’re here with the knowledge, experience, and selection you need. We can answer questions, share options or talk about the many benefits of installing a new entry door or garage door at your home. Contact us today and let us discuss options for improving your garage and entry door.